On March 25, 1988, Debi Whitlock was brutally murdered in her Modesto, California, home. Debi's murder devastated her family and sent her loved ones careening on radically different paths. Debi's mother, Jacque, wanted answers. Over the next nine years, Jacque courageously fought what others called a losing battle and learned how to deal with the authorities, the media, and the public so that her daughter's killer would not go unpunished. Debi's husband, Harold, was tossed down another path. Police investigators focused their suspicions on him, eventually uncovering motives and opportunity but never enough to make a case. 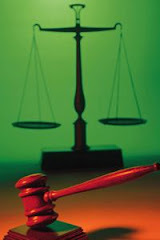 Judged harshly in the court of public opinion, the once funny, intelligent, and fiercely loyal man fell into a spiral of guilt, anger, and alcoholism. Told by Harold's adult daughter,the last person to see Debi alive,this is the story of a terrible murder and investigation that led to the ultimate end of one man's life, and a renewed sense of purpose and hope in one woman's life. 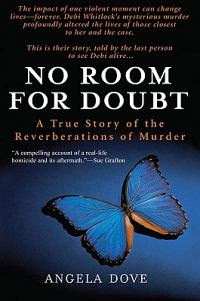 I really hope that Angela Dove will consider writing more true crime books.This book,her first,is based on her personal experiences as the daughter of Harold,the husband of murdered victim,Debi Whitlock.She was approached by Jacque,Debi's mother,to write this book and it is a true and honest account of how the events unravelled from the discovery of Debi's body,the investigation ,the suspicion that her father,Harold,was the murderer,brief but candid accounts of her own disturbing relationship with this same man,the mother,Jacque's crusade to find the murderer.Her own experiences and thoughts are expertly intermingled into this true crime story and the result is a wonderful story of hope,determination and courage. Usually with a true crime story we know exactly who the murderer is right at the beginning.It was refreshingly different to read a true crime book and have no idea who the actual murderer was until the very end.Psychiatrists and psychologists detail their own profiles as to who committed the murder and the general consensus being "someone who knew the victim".The only negative of this book is that after being led the garden path by all these experts' opinions the actual end is a bit of an anti climax.But by delving deeper into the psychology behind this crime,and the reasons,you do realise that indeed the murderer did know his victim but not in the way you expect.I cannot say anymore without revealing this entire book but rest assured that I definitely recommend reading this book. Angela Dove has a real gift with words.This was a wonderfully well written book and the way the events are chosen to appear and the order that they do so,is brilliant.Non fiction books are true life and crime fiction books always have an edge of mystery until the very end.This book is a perfect combination of both. What a refreshing change from knowing right off the bat who the murderer is....this sounds good. Great review! It really is a good book Missy.I am going to strangle my IE browser right now.I am so sick of being thrown off my own blog!! This sounds like a good book, a mystery. It is always sad to read of someone having to fight like that to get anything done.